Bob served in the U.S. Navy as an Operating Room Technician and earned his degree in Data Processing from San Diego City College. He started his career in mortgage lending in 1998. Since then Bob has acquired a varied background in mortgage lending with experience in both retail and wholesale mortgage lending. Over the past 18 years while working in the industry, he has developed a multi-faceted skill set and knowledge base of which to work from. 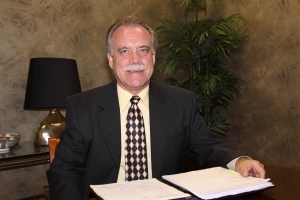 Bob’s extensive background in the industry allows him to understand the mortgage process from start to finish and provide the best service for his clients. Bob works hard to ensure his clients choose the product that best fits their mortgage needs and goals. He provides extensive support along the way to ensure his client’s road to homeownership or refinance is easy and stress free. Bob resides in Goffstown, New Hampshire with his wife and three children. He is supportive of his family’s endeavors from years of camping with the Boy Scouts to hours on the little league fields with his two older sons who now attend college. He continues to volunteer with his local YMCA as his younger daughter is very active in the gymnastics program. In his spare time Bob enjoys woodworking/carpentry, traveling, fishing, hiking, and skiing. I have worked with Bob for almost 4 years now. He is easy to communicate with, always pays close attention to detail, and knows how to get the job done! Victoria is an extremely proactive sales professional. She does not believe in waiting for opportunity to come to her. She is a seasoned professional who puts the needs and wants of her clients first! She is a pleasure to work with and I would highly recommend her to all potential buyers and sellers. I have worked with many Realtors over the years and find Victoria to be one of the few agents who tell it like it is without making open ended promises!